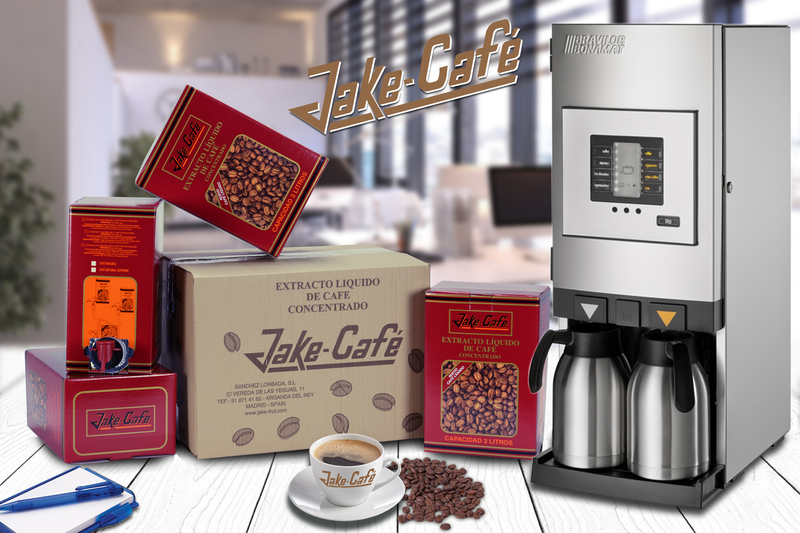 It is a coffee made with the best coffee beans , which once selected are sent to us so that we in our facilities proceed to the elaboration of an exquisite coffee , presented in 3-liter packs, which once prepared by our customers, retaining all the characteristics of coffee , get 30 liters of the best coffee, ideal for the most demanding coffee growers. In boxes of 4 packages of 3 liters unit. In Pallets of 40 boxes. These mix the coffee with the hot water getting in a short time to supply thermos such as coffee cups, depending on the programming that you want. 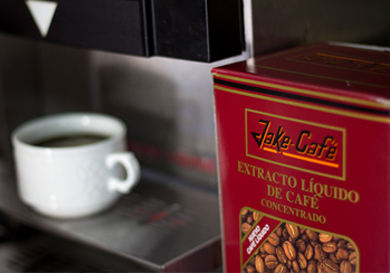 The coffee concentrate is perfect for making drinks with coffee without having to even have a machine. This same coffee exists in a hot coffee with milk version. 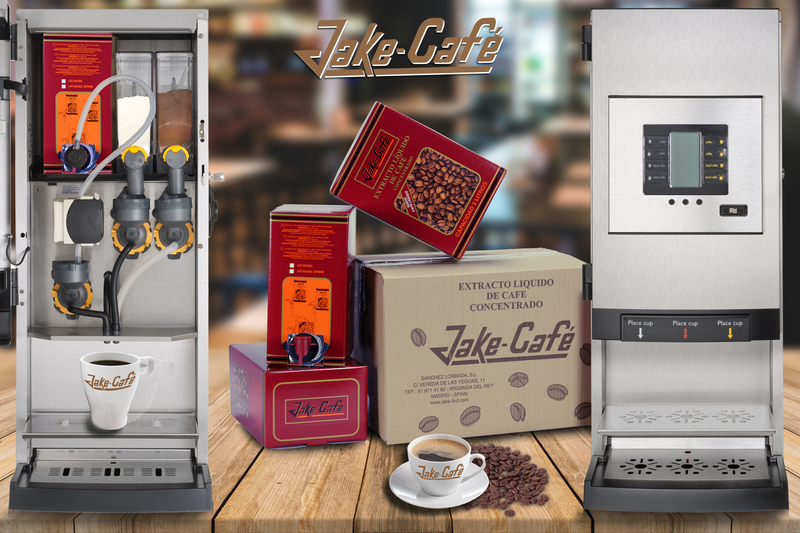 The advantages of using in concentrated milk coffee are that you do not have to store milk bricks. 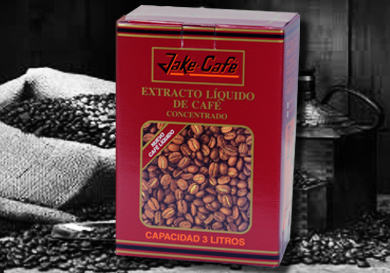 Since a liter of jake-coffee-milk gets 60 cups of a coffee expresso with milk ready to drink.